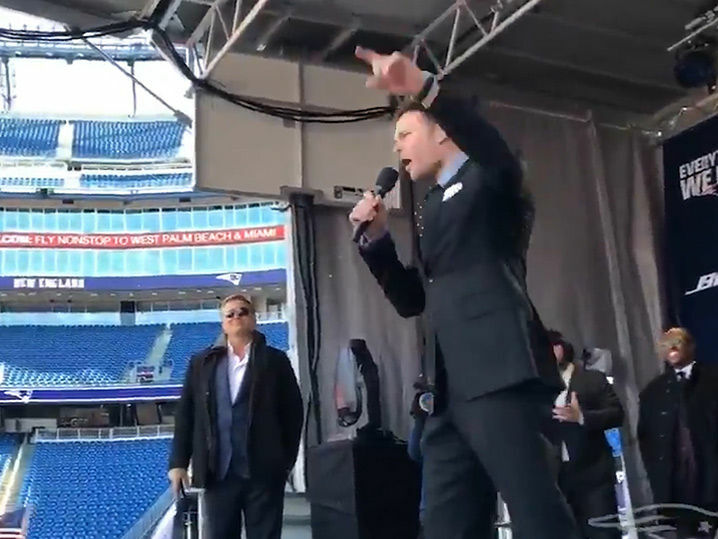 and the Patriots have really convinced themselves they're the underdogs in Super Bowl LIII ... which couldn't have been more obvious than at their send-off rally. In case you missed it, Tom and co. had a nice little mantra going among themselves last weekend when they beat the Chiefs in overtime ... "You're/I'm too old." But, probably said it best on the sideline ... "YOU'RE TOO F***IN' OLD!!!"